Setting targets is a direct and focused way of growing your salon business. Effectively planned targets allow you to measure those all important financial results as well as performance levels from your team of stylists or therapists. Before you start thinking of targets to set, take a look at your expenses and outgoings as a salon business. It is important to take into consideration how much your overall business costs to run. Make a note of all outgoings such as rent or mortgage, staff wages, bills and stock. This will then help you to see your overheads clearly and set an achievable profit goal based on what above all else needs paying for. It is important to inform your salon or spa staff of any targets that you are setting for the salon, as it will be them who are the main driving factors behind achieving the profit goals. This is a great opportunity to offer incentives for your team to do well, because if your team are successful, your salon will be too. Should individual staff members meet their personal targets, bonuses, promotions or commissions may be ideal ways of rewarding them. Not only will this encourage your team to work hard creatively but also give them motivation from a business point of view. 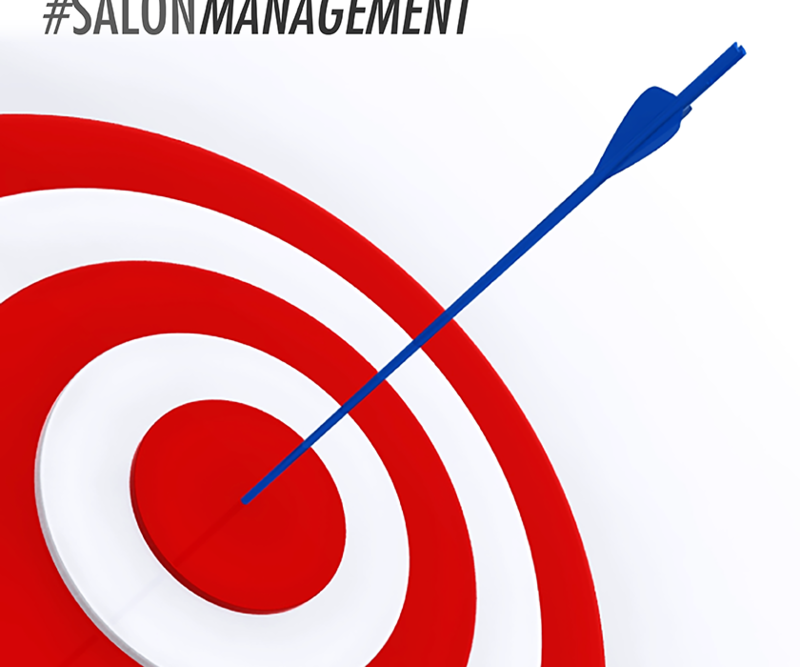 As the salon owner, there are a number of targets you can set within your salon. This could range from financially measurable targets to goals driven by client feedback driven to short & long term goals. There are, however, three main targets that can be easily set and measured within your salon business, and if you are new to salon ownership, they are a great place to start. As long as clients are being retained successfully and new clients are joining your books, your salon is moving in the right direction. Think about how your current client base and a figure you’d like it to reach, as well as the time frame you’d like to achieve this figure in. Set realistic goals on retail sales targets based on how much stock needs shifting and how you split your profit goals between products and people. Although this isn’t a financially measurable target, it is very important to measure the levels of customer feedback that you, your salon and your staff have received. Aim to outweigh any negative feedback with double the amount of positive feedback. Not only will this help you to expand on the areas you are working well on, but also help you to improve as a salon. As with any service industry, the business of hair and beauty experiences peaks and troughs, and at times can be very unpredictable. In these instances, targets may not be met, which isn’t always an issue, although problems may arise if targets are constantly not being met. In this case it may be a performance issue and further training and education is required. As we have touched upon before, investing in the right training and education is a fantastic benefit for both your stylists/therapists as well as the development and growth of your salon business. If you do find that you are repeatedly hitting targets with room for growth, look at adding extra % to your profit goals, as it shows that your salon business is rocketing in the right direction. Whilst setting targets for your salon business may seem scary, it is a very useful way of working towards something. Goals and targets ensure that you and your team are on track to making the business and brand they work for a roaring success. Head over to our FACEBOOK and TWITTER pages for more useful #SALONMANAGEMENT hints and tips on setting up a salon.